Out of the 1968 generation, few political transformations are better known than that of Joschka Fischer — a street fighter turned foreign minister turned business consultant. Born the son of a butcher in conservative southwestern Germany, Fischer moved to Frankfurt in the mid-1960s, drawn to the emerging radical student movement there. He would quickly establish himself in the “Sponti” scene, a left-libertarian counterpart to the movement’s more traditional Communist wing. Yet despite the “spontaneist” label, Fischer’s group, Revolutionärer Kampf (“Revolutionary Struggle”), began not as a group of squatters and street fighters, but one dedicated to organizing in Frankfurt’s big factories. Inspired by Italian operaismo, they took blue-collar jobs and agitated among workers, leaving campuses to capitalize on increasing labor unrest. Fischer industrialized at the local Opel factory, but was fired after only six months. He would spend the better part of the decade working as a taxi driver and selling used books. The other Spontis’ factory experiences were brief, rarely lasting over a year, and the erstwhile radical proletarians found themselves culturally and politically cut off from their coworkers. It was only following this frustrated attempt to intervene in politics directly at the point of production that they began branching out into urban politics. Around the time that the group’s factory work was fizzling out, Frankfurt’s Westend neighborhood was being transformed as developers bought up housing stock to demolish and build office buildings. Rising rents and the rapid replacement of residential with commercial space triggered Frankfurt’s infamous Häuserkampf, a brutal, years-long struggle which witnessed bloody street battles, successful occupations and, ultimately, a partial victory for the movement. It was in this phase of militancy that the iconic images of Fischer as a street fighter would arise, lending his early political career a rebellious mystique and later providing fodder for conservative attacks. It also marked the Sponti movement’s decisive shift towards radical politics in the sphere of reproduction, which seemed to offer more immediate gains than organizing largely uninterested factory workers. While the West German student movement was still on the ascent in 1967, its de facto leader Rudi Dutschke gave a famous speech depicting the “long march through the institutions,” in obvious reference to Mao. Today, this is often interpreted as foreshadowing the ’68ers decision, beginning in the late 1970s, to reintegrate themselves into parliamentary democracy in order to change the system from within. Dutschke in fact had something quite different in mind, using the metaphor to describe how revolutionary activists should consistently try to shake things up and disturb the established order in whatever social institutions they found themselves in. And though he would arguably moderate his politics later on and become a fervent supporter of the emerging Greens (his early death in 1979 prevented him from seeing the project to its completion), he probably never could have imagined how far into the institutions his former comrades would march. Fischer had never been very sympathetic to the dogmatic Maoist and neo-Stalinist “K-Gruppen” that sprung up after the student movement’s collapse, but he remained somewhat ambivalent for a time on the question of political violence. Yet around 1976–77, he completely rejected the terrorism of the Red Army Faction and similar groups which isolated, rather than grew, broader struggles. From here, Fischer would become increasingly involved in the local social movements out of which the Greens emerged. Following the Häuserkampf, the next major struggles in Frankfurt were against the expansion of the city’s international airport and, later, nuclear power. These movements extended deep into society, bringing the Spontis into contact with much wider milieus and with them, the taste of victory. Often, these movements succeeded in at least slowing unpopular development projects, and saw a new, broadly “progressive” majority emerge in some West German cities. As the world revolution receded further into the distance, local political and social reform seemed increasingly within reach. Sensing the way the wind was blowing, by the end of the decade Fischer was a major spokesperson of the Greens’ “Realo” wing which opposed radical action and sought to make the party a powerful parliamentary force by actively seeking government participation. By 1985 Fischer was serving as environmental minister in the first SPD-Green state government and never looked back. Fischer’s career is in many ways paradigmatic of what Luc Boltanski and Eve Chiapello describe as the “new spirit of capitalism.” The two sociologists describe how capitalists co-opted the libertarian impulses of 1968 in order to make the workplace, and with it the culture of capitalism generally, more flexible. All the better to extract profits in a more dynamic and complicated capitalist system, where the Fordist model appeared increasingly stagnant. Yet there is no doubt that the Green Party Fischer led and the wider social milieus around it brought a limited and without a doubt “bourgeois” degree of environmentalism and feminism to German politics and opened up cultural spaces that made society significantly more bearable for minorities and anyone who failed to fit in to the suffocating social norms of 1950s West Germany. The country became more tolerant and more diverse, which, not incidentally, also made it better suited to return to its role as a leading capitalist power in Europe and the world. The government pursued renewable energy development and, at least rhetorically, supported women’s rights, sustainable development, and peace. As a result, Germany no longer exercised soft power as a militaristic empire, but could do so as a seemingly progressive, liberal democratic state which presented itself as a champion of equal rights, environmental protection, and international cooperation. As the world revolution receded further into the distance, local political and social reform seemed increasingly within reach. Fischer and his comrades’ early writings on their understanding of “Realpolitik” exhibit a strong emphasis on and interest in results. In stark contrast to their early days as marginalized radicals lobbing Molotov cocktails at police, the Greens now ran city and state governments and became a real political factor in the country. Yet in order to become reliable governing parties for the Social Democrats (and later even the conservatives), they had to accept the rules of the game and make their peace with German capitalism. Fischer’s ascendency to the role of foreign minister in 1998 symbolized not only his personal zenith as a respected German statesman, but also the integration of the 1968 generation into the German political establishment and with it, the country’s cultural renovation and modernization. The German decision to participate in nato air raids on Yugoslavia in the 1990s — the first time German forces participated in a war since 1945 — could only have been made by someone like Joschka Fischer. Free of any ties to the Nazi past or military establishment, Fischer possessed the necessary political and cultural capital to make an impassioned case for intervention by citing the legacy of “Never Again,” drawing comparisons to his own country’s dark past and wrapping the decision in anti-fascist sentiment. 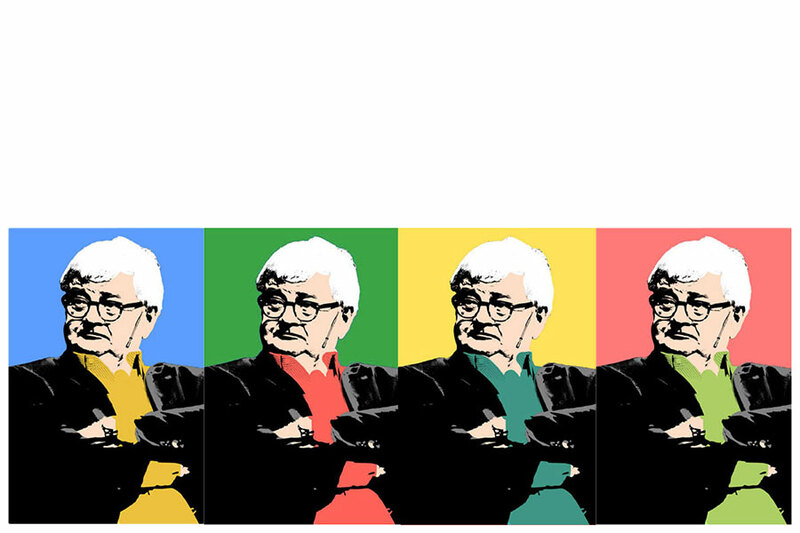 It is hard to say where exactly Joschka Fischer the Sponti radical ends and Joschka Fischer the neoliberal opportunist begins, as there was no identifiable break so much as a long, tortured transformation, which makes him all the more difficult to pin down. The conservative right detests him for thumbing the conventions of West German political decorum and representing everything they see as “wrong” with post-’68 German society. The Left in turn views him as the quintessential sellout — a confident, young militant who once eagerly organized clashes with police, only to become a pliant neoliberal shill. And fair enough. There reaches a point after the second $200,000 lectureship, or the third exorbitantly paid consulting gig for some rapacious European energy corporation, where you have to ask if political principles and ideals were ever there to begin with. At face value, the truism that politics is the art of the possible and of compromise has some validity. But for anyone who seeks to do it for the greater good and not for the sake of politics as such, the compromises ought to at least be in our favor. Nevertheless, in their own limited way and on their own limited terms, Joschka Fischer and the Spontis accomplished what they set out to achieve. Unlike most of the Maoists and left-wing terrorists of his generation, Fischer never fundamentally renounced his ideals or turned his back on the cause. Rather, he and others increasingly reached the conclusion that in order to change society, protest alone would not suffice, and the realm of the political had to be occupied. Even today, Fischer continues to defend his career in passionate and robust terms, always managing to frame his actions in the language of human rights, freedom, and justice, even as the horizon of what he believed to be politically possible receded dramatically. Reaching their zenith during a time when the labor movement and the Left were in chaotic retreat, it was almost inevitable that these gains would be limited to reforms acceptable to capitalism. It is thus little surprise, though perhaps tragic, that during Fischer’s “long march through the institutions,” the institutions ended up swallowing him whole.